After you heard about Hogwarts I’m sure the first thing you did was went back through all your junk mail in the hopes that maybe you missed your letter. 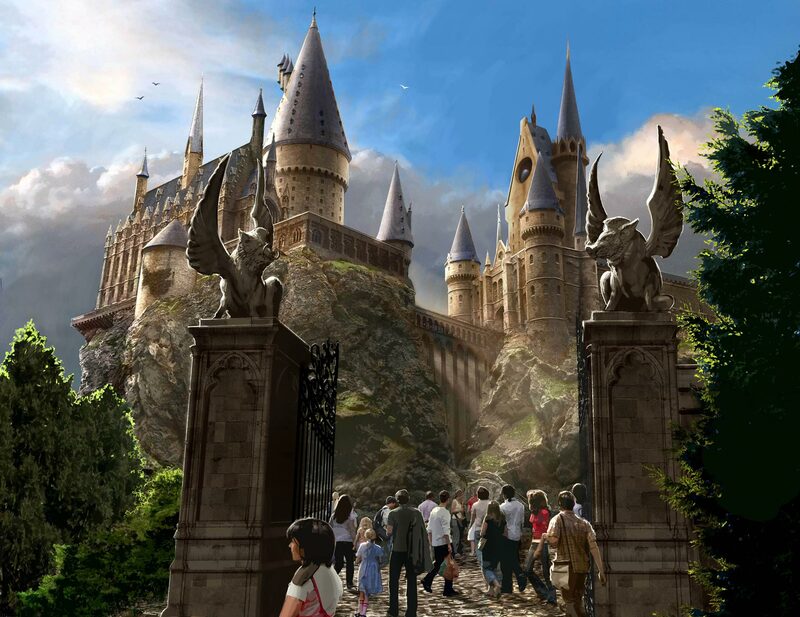 Well you may still be a muggle, but now you can take in the wonders of the Wizarding World of Harry Potter inside Universal Studios Orlando! The feature ride of the wizarding world is Harry Potter and the Forbidden Journey®, which takes place throughout the castle of Hogwarts! You will journey through the castle and the grounds surrounding with Harry, Hermione, and Ron while fighting off a dragon, dementors, spiders, and other creatures! If you successfully make it through you can expect to be greeted by Dumbledore and many other memorable friends thanking you for your assistance. The ride is a motion ride that tilts and rocks you throughout the challenges, and seats four per car. For those who are interested in saving some time at the cost of possibly being split up, the single riders line can on average save 20-30 minutes especially during busy days and I personally make use of it with my friends each time I visit the park (which is upwards of 10 times a year)! Just let the employee at the entrance of the ride know and they will point you or your group in the direction of the single riders line. You get to stay with your group until you are placed on the ride in most cases so you won’t be away from them except for during the ride!